One thing I love trying out almost as much as hair products is body scrubs. They make my skin feel smooth, soft, hydrated and refreshed. 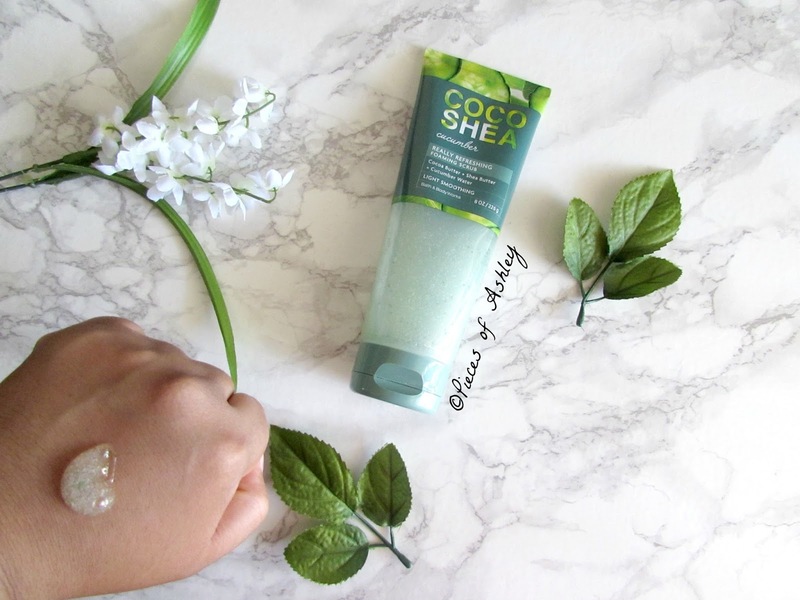 The Coco Shea Cucumber Body Scrub is no different. I got this body scrub from Notino , which is a site that has a wide range of beauty products. From makeup to hair to skincare and this list goes on. Cocoa butter and Shea butter moisturizers and replenishes your skin. Cocoa Shea blends two of nature's most nourishing ingredients, the vitamin packed cocoa butter and the rich moisturizing Shea butter creates the ultimate collection of skin loving formulas. Also included is the Cucumber water which is great for revitalizing the skin to look hydrated and smooth. With smoothing pumice and a cleansing gel formula, the foaming scrub leaves the skin feeling revitalized and touchable. 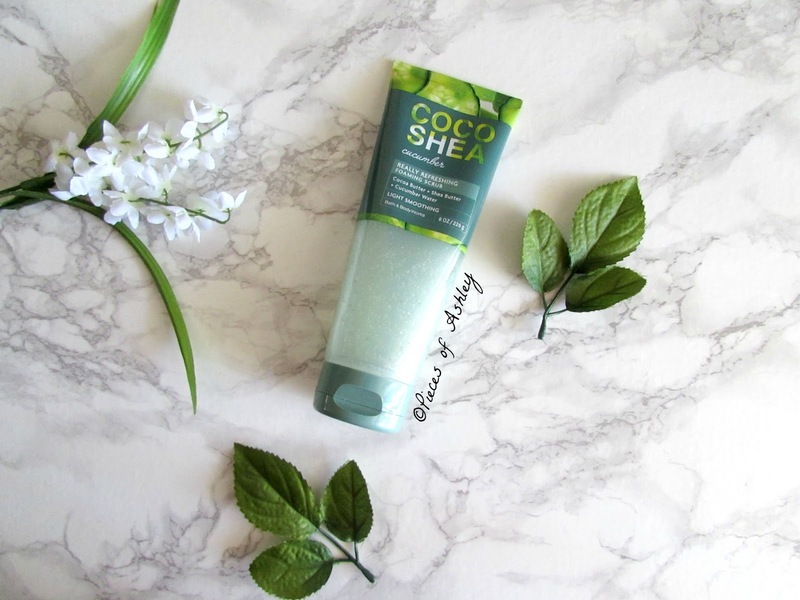 My skin feels so much better while using the coco shea cucumber body scrub and it's definitely worth the try. This foaming scrub is very refreshing and I love how soft my skin feels and how hydrated it looks afterwards. The size of this product is 8 oz., which is great because it lasts awhile and can be used more than six times! The consistency of the gel in thick and creamy but does not leave a sticky feeling after using. Depending on how much product you use will determine the amount of foam and lather. So if you want to feel like you're taking a bubble bath, than you would use a good amount. Overall I like this body scrub and I can see myself repurchasing in the future. I hope you enjoyed reading! What body scrubs do you like to use?